Whether hyperbole or actual fear, the IMF has now raised the stakes in the call for sovereign governments to establish a regulatory framework over the cryptocurrency sphere. 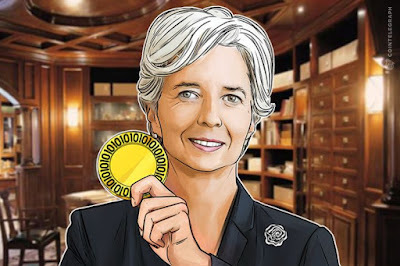 In a report released on March 16 that will provide context to the upcoming G20 summit in Buenos Aires, IMF Chief Christine Lagarde gave the bank's insight on what they believe should be done to regulate the growing cryptocurrency industry, and at one point intimated that its decentralization could have real effects in helping to undermine the global financial system. The International Monetary Fund (IMF), international body advancing global economic cooperation and financial stability, released a report amid their preparations for next week's meeting of G-20 finance ministers and central bank leaders in Argentina. Finance Ministers and Central Bank governors from the world’s 20 wealthiest economies (G-20) should begin developing a global regulatory framework for trading in crypto-assets such as Bitcoin, IMF Managing Director Christine Lagarde wrote in a press release on Thursday. "There is also room to develop international regulatory principles for crypto-assets, including initial coin offerings (ICOs)," Lagarde said. "The goal should be to harness the potential of the underlying technology, while ensuring financial stability and mitigating the risks from money laundering and terrorist financing." Money laundering and funding terrorism is the bread and butter of many banks already residing in G20 countries, so if they are seeking to direct their efforts towards cryptocurrencies rather than towards their own financial institutions, then it means that they fear the potential of decentralized authority, and are becoming desperate in seeking to bring down the hammer before critical mass is achieved.